Lucretius (c. 99 BCE?c. 55 BCE) is the author of De Rerum Natura, a work which tries to explain and expound the doctrines of the earlier Greek philosopher Epicurus. The Epicurean view of the world is that it is composed entirely of atoms moving about in infinite space. Lucretius (c. 99 BCE?c. 55 BCE) is the author of De Rerum Natura, a work which tries to explain and expound the doctrines of the earlier Greek philosopher Epicurus. The Epicurean view of the world is that it is composed entirely of atoms moving about in infinite space. The implications of this view are profound: the proper study of the world is the province of natural philosophy (science); there are no supernatural gods who created the world or who direct its course or who can reward or punish us; death is simply annihilation, and so there is no next life and no torment in an underworld. Epicurus, and then his disciple Lucretius, advocated a simple life, free from mental turmoil and anguish. 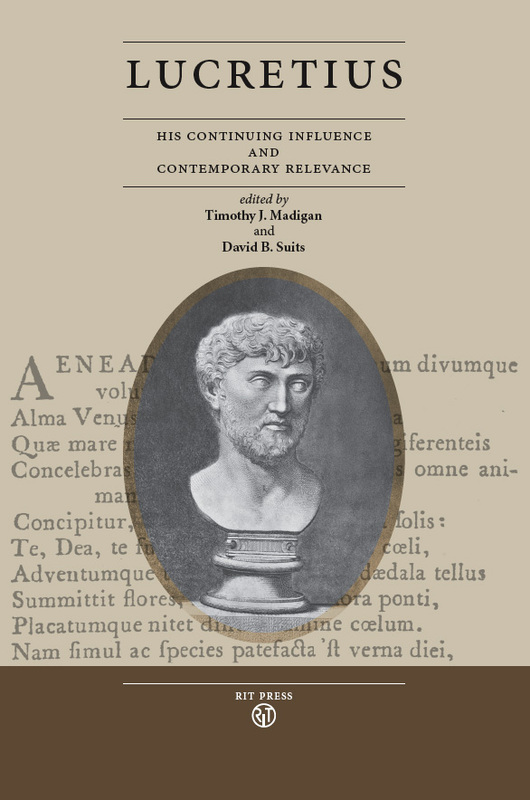 The essays in this collection deal with Lucretius?s critique of religion, his critique of traditional attitudes about death, and his influences on later thinkers such as Isaac Newton and Alfred Tennyson. We see that Lucretius?s philosophy is connected to contemporary philosophy such as existentialism and that aspects of his thought work against trying to separate the sciences and the humanities. Lucretius: His Continuing Influence and Contemporary Relevance is the title of a 2009 conference on Lucretius held at St. John Fisher College, when many of the ideas in these essays were first presented. This book is part of the RIT Press Philosophy Series. To view more titles in the series, click here. ?Half buried?/Or fancy-bourne? : Unearthed Desires and the Failure of Transcendence in Tennyson?s ?Lucretius?